A seasoned warrior, such as yourself, skillfully combines stunning style and practical utility when selecting your armour. 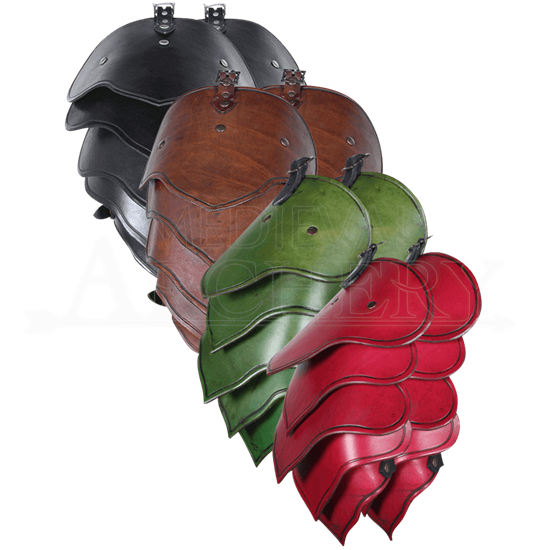 The Lorien Leather Spaulders show off your shoulders nicely while effectively shielding them from injury. The design of these shoulder guards is perfect for LARP warfare. Five leather segments flexibly connect to form each spaulder, adding to their defensive quality. The rivets and detailed edging compliment the medieval fantasy theme. A top buckle makes them an easy attachment to your body armour. The adjustable strap at the bottom allows a customized fit. 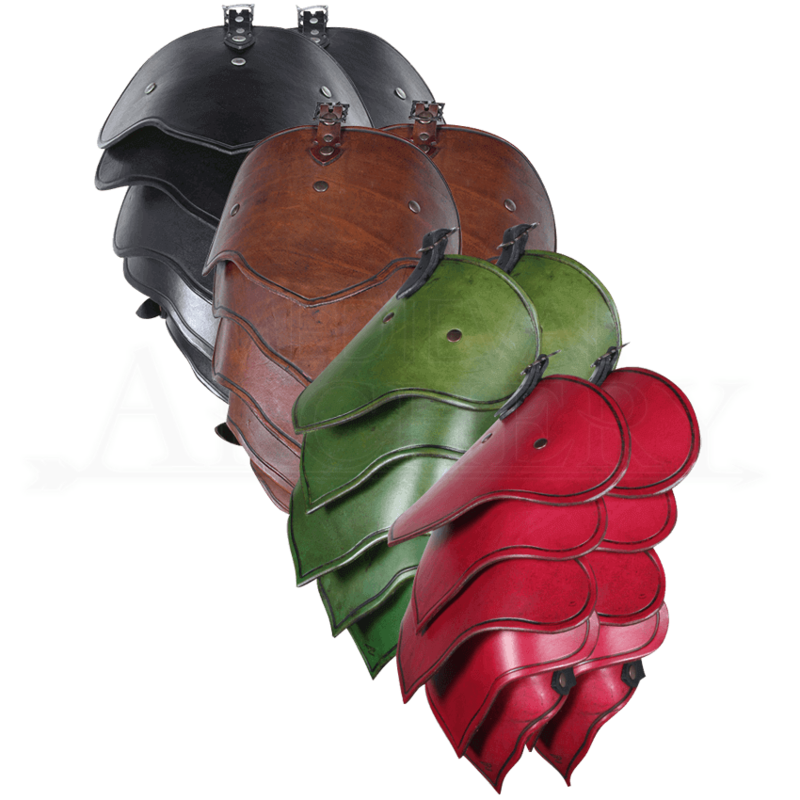 This shoulder armour is a perfect addition to your carefully selected battle wear.